Harvest of Hope Pantry opened its doors in 2012. Our sole mission is food assistance. We offer a client choice shopping experience where individuals select preferred foods within our shopping allowances. We are the only food pantry in Boulder that serves everyone who comes to the door. By offering separate shopping times for Clients with Kitchens and Clients without Kitchens, we address the individual needs of both populations. For our Clients without Kitchens, the pantry ensures that their shopping experience allows them to leave with a daily amount of supplemental food to fill the gap that other services are unable to offer. Providing easy-to-eat foods, such as protein bars, pop-top canned items, yogurt, produce and fresh sandwiches, gives clients easy-to-transport foods. Our Clients with Kitchens have the opportunity to select refrigerated and frozen foods, in addition to fresh produce and bread, with consideration to food safety. A variety of dairy foods, perishable prepared meal items and protein foods, are available to these clients with refrigeration. They have the opportunity to shop one day each week. Don’t have time to roam our entire site? This 90-second video will give you a quick look at all we do to help feed those in need in Boulder, CO. Harvest of Hope Pantry offers many ways for individuals, families and businesses to share time and resources to give back to the community through supporting those in need of food assistance. To provide a sense of hope to Boulder families and individuals by relieving the stress of food insecurity. To be a sustainable source of supplemental food to those in need. To provide an efficient outlet for the redistribution of food. Our mission is to live the Catholic faith by providing healthy supplemental food to Boulder families and individuals in need of food assistance within a safe, welcoming and non-judgmental environment. 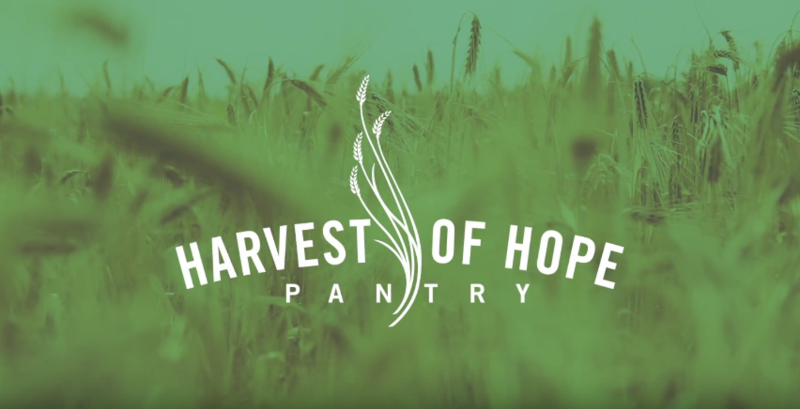 Harvest of Hope Pantry combined the rich traditions of two Boulder, Colorado Catholic parishes – St. Thomas Aquinas Catholic Center and Sacred Heart of Jesus – to serve individuals and families for more than a combined 40 years. The Benedictines, a Roman Catholic religious order of monks and nuns – opened the St. Tom’s food bank in 1970, serving the single poor and homeless from the back porch of the pastoral center. A dedicated group of parishioners led by Lea Dischner founded the Sacred Heart of Jesus food box program in 1983. As St. Tom’s ministry grew, it moved from the back porch to a shed area, then to the youth house and finally to a cottage located next to the church. From 50 to 80 clients visited daily to receive a food bag, treats and prepared sandwiches under the direction of Agnes Stupp and Judy Cardell. Over three decades, Sacred Heart of Jesus’ program grew to supply 150 households every other week with boxes of food, as well as turkey dinners during the holidays. In the later years, they transitioned to a client-choice shopping experience, where individuals selected preferred food items. Harvest of Hope Pantry successfully wove together the volunteers and clients of the two programs under the leadership of Michael Freece, the pantry’s first Board of Directors’ Chair. Today, the number of volunteers and clients has greatly expanded beyond those that began volunteering and shopping under the pantry’s roof in 2012. The initial funding to open our door came from the generosity of individual donors. 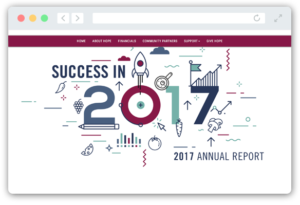 Individual donors continue to be our major source (89%) of operational funding. Grants through United Way and Community Food Share and private Trusts supported the purchase of freezers and coolers. Today, we also reach out to businesses and foundations to support the overall mission of providing supplemental food. Our individual donors are key in keeping our resources open and available to those in need. We encourage monthly donations through the Colorado Gives website in an amount that is of value to the donor. While change can sometimes be hard, it’s important to remember that the only thing we can count on in life is that things will change. Our volunteers have been unimaginably supportive during our time of need, and we are so appreciative of all the helping hands. After some conversations and consideration, Harvest of Hope has decided to do a little restructuring, and we’ll be hiring for three positions here at the Pantry over the next month.